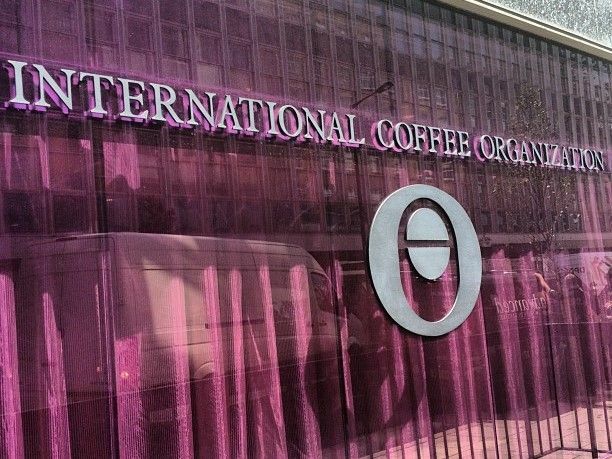 LONDON, UK — World coffee production in coffee year 2017/18 is estimated 5.7% higher at 164.81 million bags as output of Arabica increased by 2.2% to 101.82, and Robusta grew 11.7% to 62.99 million bags, says the ICO in its latest report. The larger supply in coffee year 2017/18 is reflected in increased shipments in August 2018, as global exports increased 6.3% to 11.1 million bags compared to August 2017. In coffee year 2017/18, world consumption is estimated 1.8% higher at 162.23 million bags, but coffee production exceeds this by 2.58 million bags. This surplus has contributed to the low prices this season. The ICO composite indicator fell to 98.17 US cents/lb in September 2018, 4.1% lower than in August 2018, the lowest monthly average since October 2006 when it reached 95.53 US cents/lb. Prices for all group indicators fell for the fourth consecutive month in September 2018. The largest decrease occurred in the average price for Robusta, which fell by 5% to 76.70 US cents/lb followed by a decline of 4.4% to 99.87 US cents/lb for Brazilian Naturals. Coffee prices continued their downward trend as the monthly average of the ICO composite indicator fell to 98.17 US cents/lb in September 2018, 4.1% lower than in August 2018. This represents the lowest monthly average composite indicator since October 2006 when it reached 95.53 US cents/lb. In September 2018, the daily composite indicator remained below 100 US cents/lb until 28 September when it reached 100.83 US cents/lb. On 18 September, the daily composite price reached 95.87, the lowest value of the month. Prices for all group indicators fell in September 2018 compared to August 2018. The largest decrease occurred in the average price for Robusta, which fell by 5% to 76.70 US cents/lb followed by a decline of 4.4% to 99.87 US cents/lb for Brazilian Naturals. Unlike the Arabica group indicators, the Robusta indicator experienced low price levels more recently. Between March 2009 and May 2010, the monthly average Robusta price was less than in September 2018, ranging between 67.25 US cents/lb and 76.31 US cents/lb. However, the monthly average for Brazilian Naturals had not fallen below 100 US cents/lb since October 2006 when it reached 99.23 US cents/lb. Colombian Milds decreased by 3.3% to 125.74 US cents/lb while Other Milds fell by 3.2% to 121.18 US cents/lb. The previous monthly low for Colombian Milds was 125.22 US cents/lb in August 2007 and for Other Milds it was 117.63 US cents/lb in July 2007. The average arbitrage in September, as measured on the New York and London futures markets, fell by 3.8% to 34.80 US cents/lb, which is the third consecutive month of decrease. However, intra-day volatility of the ICO composite indicator price increased by 0.2 percentage points to 5.4% due to increases in the intra-day volatility of all group indicators except for Brazilian Naturals. World production in coffee year 2017/18 is estimated 5.7% higher at 164.81 million bags, which includes part of the new crop for producers with crop years commencing in April and July. Production of both Arabica and Robusta increased in 2017/18, though most of the increase came from Robusta, which grew 11.7% to 62.99 million bags compared to coffee year 2016/17. This increase comes primarily from Vietnam where its Robusta output is estimated 15.5% higher at 28.03 million bags and Brazil, where Robusta production continues to recover, increasing by 16.1% to 13.46 million bags in coffee year 2017/18. In India, which produces both types of coffee, Robusta is estimated to have grown by 12.3% to 4.09 million bags due to adequate rainfall and greater availability of irrigation water. Arabica output is estimated 2.2% higher at 101.82 million bags. While Colombia’s production is estimated at 14 million bags, 4.3% lower than in coffee year 2016/17 due to unfavourable weather conditions, production in the other four largest Arabica producers increased. Brazil’s Arabica production in coffee year 2017/18, which includes part of its new crop, is estimated 3.5% higher at 44.23 million bags. Production in Honduras is estimated at 7.7 million bags, 3.3% higher than in 2016/17, which marks the fourth consecutive year of increase. Ethiopia harvested 7.65 million bags, an increase of 4.8% compared to last coffee year. Peru’s Arabica output is estimated 0.8% higher at 4.29 million bags. The larger supply in coffee year 2017/18 is reflected in increased shipments. In August 2018, global exports of all types and forms of coffee increased by 6.3%, to 11.1 million bags, compared to August 2017. Arabica shipments grew by 6.7% to 6.95 million bags, and Robusta by 5.7% to 4.16 million bags. The increase in Arabica shipments consisted largely of Brazilian Naturals, which rose by 14.7% to 3.3 million bags in August 2018 while exports of Colombian Milds decreased 11.6% to 1.11 million bags. In the first 11 months of coffee year 2017/18, world coffee exports are 1.6% higher than in the same period for coffee year 2016/17. Arabica shipments for October 2017 through August 2018 are 0.2% higher than in 2016/17, as increased exports of Other Milds offset decreases in both Colombian Milds and Brazilian Naturals. Shipments of Robusta grew 3.9% to 42 million bags for October 2017 to August 2018. Total exports of green Robusta have increased in each month since May 2018. Brazil’s green Robusta exports for June to August 2018 are 1.19 million bags, 17 times greater than the same period one year ago and accounting for 78.8% of shipments for October 2017 to August 2018. Although Vietnam is nearing the end of its crop year, green Robusta shipments have remained high, reaching an estimated 6.43 million bags for June to August 2018, 21% greater than in 2017. Indonesia is the third largest exporter of green Robusta for June to August 2018, with shipments reaching 0.77 million bags. However, this is 62.9% lower than the same period in 2017, as increasing domestic consumption and flat productivity levels reduced the volume available for export. During the same period, Uganda shipped 0.88 million bags of green Robusta coffee and India exported 0.73 million bags. While coffee consumption is estimated 1.8% higher in coffee year 2017/18 at 162.23 million bags, coffee production exceeds this by 2.58 million bags. This surplus has contributed to the low prices this season, with the composite indicator averaging 111.51 US cents/lb for October 2017 to September 2018. In comparison, the average for the composite indicator in 2016/17 was 132.43 US cents/lb, reflecting the 3.43 million bag deficit that coffee year. Additionally, exports in coffee year 2017/18 have increased compared to 2016/17, a year in which record export volumes were recorded. This has put further pressure on prices as the market was well‐supplied at the start of the coffee year even with growing consumption. Stocks of green coffee in importing countries, including free ports, have remained at high levels in the last two years. After reaching 17.94 million bags at the end of December 2010, stocks grew to a record level of 26.44 million bags at the end of June 2017. Stocks in importing countries declined to 24.64 million bags at the end of June 2018, but this is the third highest volume at the end of June in the last eighteen years.